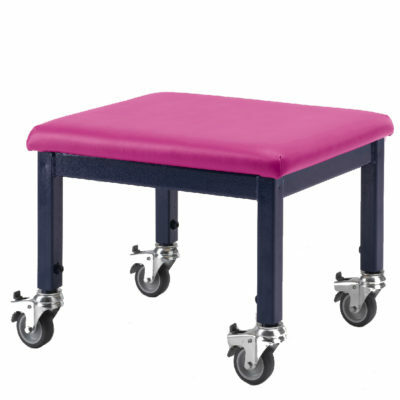 The adjustable height wheely stool is our most popular wheely stool. 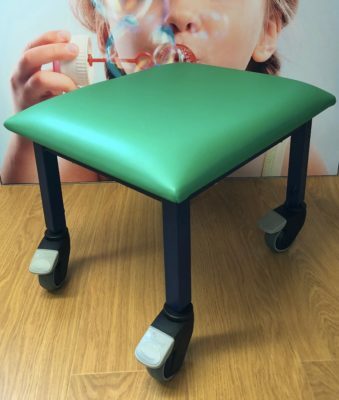 It has been designed specifically for working at lower levels with your child, student or client. 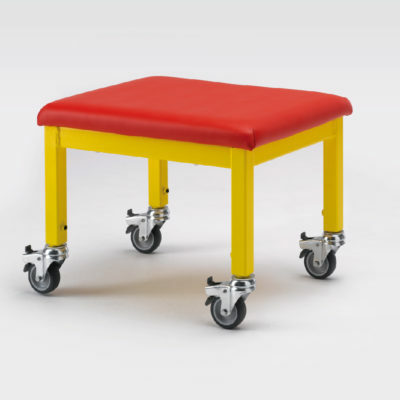 The stool is designed for sitting astride the narrower side. Sturdy metal legs with lockable castors. Available in 3 colour options with a height range of 340-460mm. 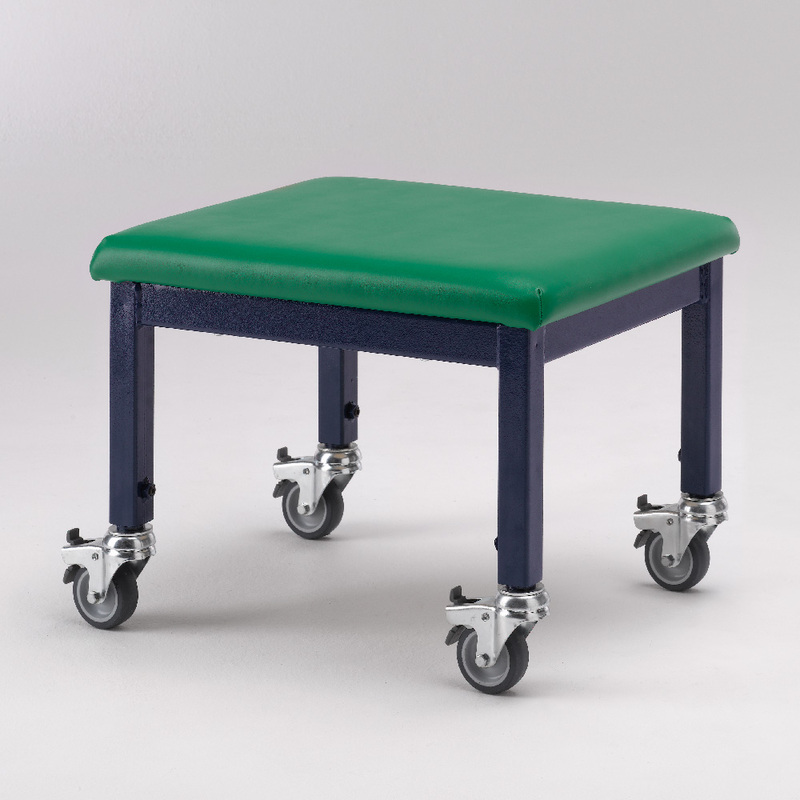 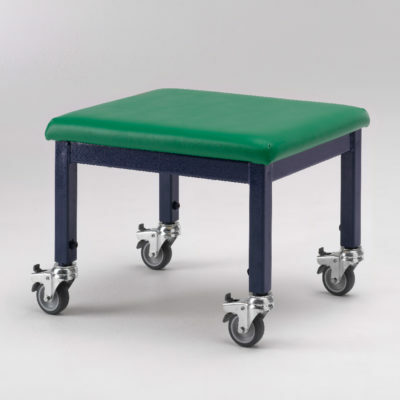 Heavy duty wheely stool available for weights up to 150kg and an extra 2″around the top.